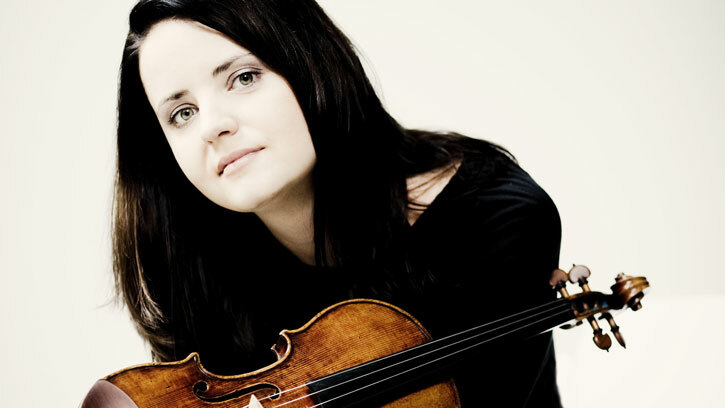 This weekend, violinist Baiba Skride will perform Mozart’s Violin Concerto No. 3 with the Seattle Symphony. This will be her first appearance with the Symphony, but Skride has a special connection to Seattle and the orchestra. Artur Girsky, second violinist with the Seattle Symphony, grew up with Skride in Riga, the capital and cultural center of Latvia. Skride began her violin studies with Girsky’s mother, Ludmila Girska, who now lives with him in Seattle. Today, Skride is an accomplished violinist described as “a passionate, heart-on-the-sleeve player” by The Guardian. This year, she is performing with orchestras around the world, including the Berlin Philharmonic, the New York Philharmonic, the Royal Concertgebouw Orchestra and of course, the Seattle Symphony this weekend. To hear Baiba Skride play Mozart’s Violin Concerto No. 3 in G major with the Seattle Symphony, reserve your seats for the concerts this weekend, January 21-23.